Golden Piano Tuning tunes pianos in the Hilliard, Ohio area. Piano tuner Bill Golden enjoys tuning pianos in the Hilliard, Ohio area. It’s a growing community of over 30,000. 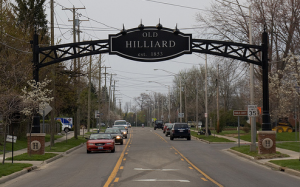 Like many Ohio communities, Hilliard Ohio began when John Hilliard bought a simple 10 acres of farm land in 1862. For piano lessons in Hilliard, one option is Hilliard Community Music School, located at 4115 Main St., Hilliard, OH 43026 (614) 876-4181. Bill Golden, Piano Tuner, is an aural tuner (as in, tunes by ear) offering piano tuning services throughout Hilliard, Ohio and other Central Ohio areas. Bill has been a piano tuner for more than 30 years, learning the trade from his piano tuner uncle, Nolen B. Golden,Dayton, Ohio way back in 1979. Bill is also an associate member of the Piano Technicians Guild, Columbus chapter.